Boost your water workout with the Aquatic Resistance Dumbbells! The LAQDMB provides flotation and resistance in order to help build upper body strength. Engineered with EVA foam, it is one of the most lightweight and buoyant aquatic dumbbells on the market. It is also chlorine resistant and flexible, thanks to its closed cell construction. This aquatic fitness equipment features easy-to-hold, soft grips, making it ideal for long workouts. 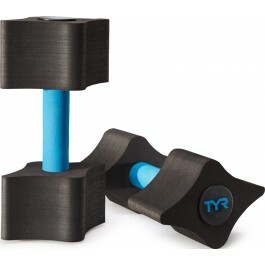 Sporting a black and blue color combo, these water dumbbells are not only functional but also attractive. They are light, yet give resistance in the water. Easy to carry & use. They are designed so you can use it without experiencing fatigue and your hands donâ€™t cramp. Highly recommend it. Lighter than I expected. Could use a little more resistance. A: Yes, this aquatic fitness equipment features easy-to-hold, soft grips, making it ideal for easier grip. A: Thank you for your inquiry. The resistance of the dumbbells vary based on the user (ie age and physical condition) and the conditions they are used in. Q: Why does one of my dumbfells retain water (I can hear it when I get out of the pool) while the other one doesn't? Is there any way to release this water? A: Thank you for contacting TYR Sport! We are always eager to answer any questions you have about our products. Our Aquatic Resistance Dumbbells will vary resistance by person, but both dumbbells should be equal. If you feel you have received a defective product, please email [email protected], with proof of purchase. Q: How do these compare to Water gears 80% or 99% resistance. A: Thank you for your inquiry. Our Dumbells are medium resistance. the water gears 80 percent and 99 percent have more resistance in the water. 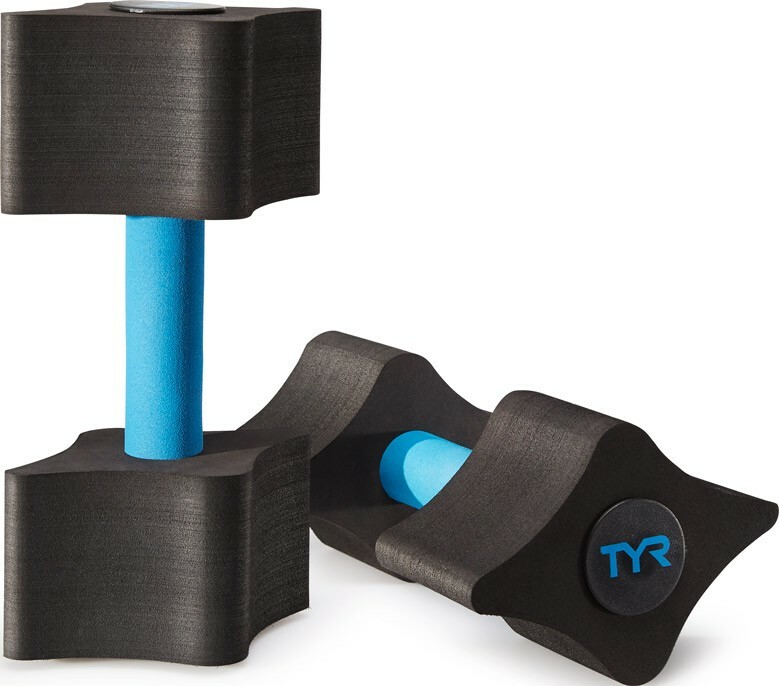 Boost your water workout with the Aquatic Resistance Dumbbells! 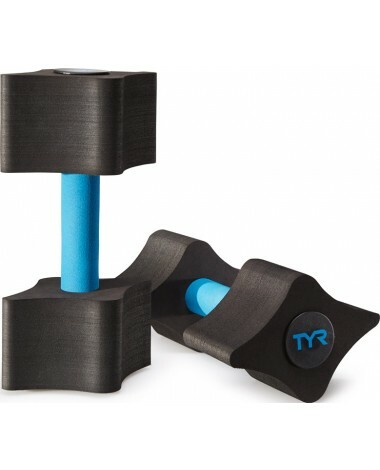 The TYR Resistance Dumbbells provides flotation and resistance in order to help build upper body strength.